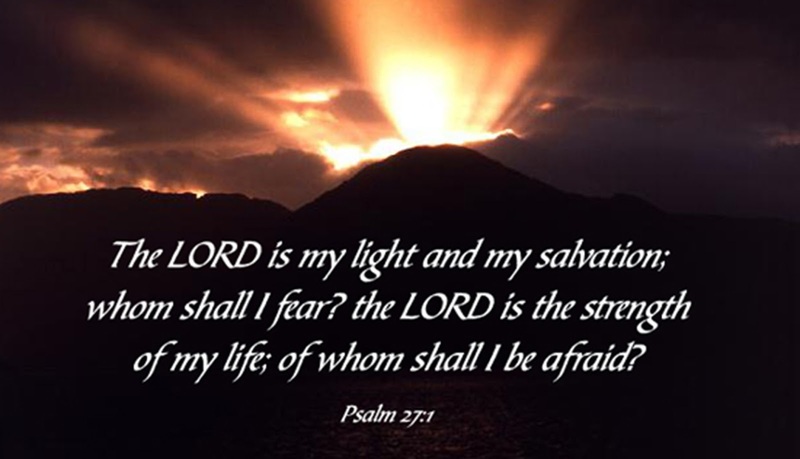 Walking with Jesus: Day 27: Matthew 12:1-14 & Psalm 27 - What Honors God on the Sabbath? Day 27: Matthew 12:1-14 & Psalm 27 - What Honors God on the Sabbath? What Honors God on the Sabbath? When God finished creating the world, He rested. By doing so, He created the Sabbath day on the seventh day. When God gave the Ten Commandments to His people at Mount Sinai, He included "Remember the Sabbath Day to keep it holy" at #4. Jesus never openly announced the repeal of the Sabbath commandment, though the day of the week and the fundamental nature of the day were transformed by His resurrection - transformed, but not repealed. Each resurrection appearance of Jesus to His disciples happened on a Sunday, the first day of the week, the same day as the Resurrection itself. From the beginning, the church gathered for worship early in the morning on the first day of the week, not the seventh day. And by the time John wrote Revelation, the church was already referring to the first day of the week as "The Lord's Day." (Rev. 1:10) This expression is the same as "the Day of the Lord," which is the coming day of Christ's triumphant return. So, instead of looking back at the end of the week to the completion of creation, Christians look forward on the first day of the week to the new creation, begun in the resurrected body of Jesus. So, given all of that background, what is happening in today's passage in Matthew? Jesus seems to be directly and intentionally confronting the religious leaders over the Sabbath. Why? Well, to put it simply: the religious leaders had taken a blessing and turned it into a curse. More specifically, Jesus is showing that acts of necessity (eating) and mercy (healing) are very proper for the holy Sabbath day of rest. It is good to do good for others, even and especially on the Sabbath. And the necessary things can always be done, on whatever day. God's intent in commanding His people to rest was to call them to the blessing of focusing on Him and quieting their lives. He never intended to punish merciful acts of kindness or bind His people from doing necessary things. Some Christians in history have had a harsh and kill-joy approach to Sundays. They almost made it sinful to laugh, have fun, enjoy life or celebrate on the Lord's Day. That's not in keeping with Jesus' approach. Jesus brings freedom, joy, salvation and healing. Honoring His day should not be focused on boredom, melancholy and restriction. On the other hand, that's not the problem the church has today. Today, most Christians see little-to-no difference between the Lord's Day and any other day of the week. We refuse to give up our busy lives and our worldly priorities, not to do what is restful, merciful of necessary, but just to keep running the rat race. God calls us to rest and worship Him on Sundays, celebrating Jesus' victory over death and enjoying the rest and salvation He has given. Like Psalm 25, this is one of my favorite Psalms to pray to the Lord word-for-word, line-by-line. Lord, You are my light and my salvation. I have no reason to fear anyone of anything because You have saved me and You have made me Your own forever. You are the stronghold of my life. I know I am safe in You and in You alone. Just because I am safe in You, Lord, doesn't mean I won't face vicious attack from my enemies. My enemies are restless and intent on my destruction. But when Satan and my flesh and the world attack me, they may succeed in tripping me up in the moment, but they are the ones who will be destroyed. You will fully and finally deliver me by Your grace from their attacks and their taunts. Lord, I have one deepest heart desire - to know You, to be with You, to see You face-to-face one day, to be Yours forever free from sin and sorrow. Lord, hide my soul in You. Lord, be my shelter and my refuge when temptations are strong and when doubts arise. Establish me firmly upon Christ, my Rock. Father, I know that in the midst of persistent attack, You lift up my head. You keep me from sinking. And so I thank You. I praise You. I sing and delight in You! Praise God from whom all blessings flow! Father, just as Your shelter me, rescue me, lift my head and forgive me, so I also need You to teach me and lead me. I am woefully ignorant and prone to wander. I am stubborn and willful and vulnerable to attack because of my foolishness and unfaithfulness. Teach me. Lead me. Lord, I wait for You. When Jesus comes again, I know I shall see real goodness in the land of the living, forever. I wait for You and find my strength in You and Your promises. Strengthen me to wait patiently and faithfully, courageously and expectantly. In Jesus' name, Amen.